This is a recently described species from Luzon, Philippines, which was discovered in 2014. At the time of writing, we are not sure as to whether or not this is a distinctive species. From what we can see, it resembles Nepenthes sibuyanensis with long burrowing tendrils and habitat photos also appear much more like Nepenthes sibuyanensis than Nepenthes ventricosa, which is a common species in Luzon. Whatever it is, it's interesting! First introduced in June 2017. 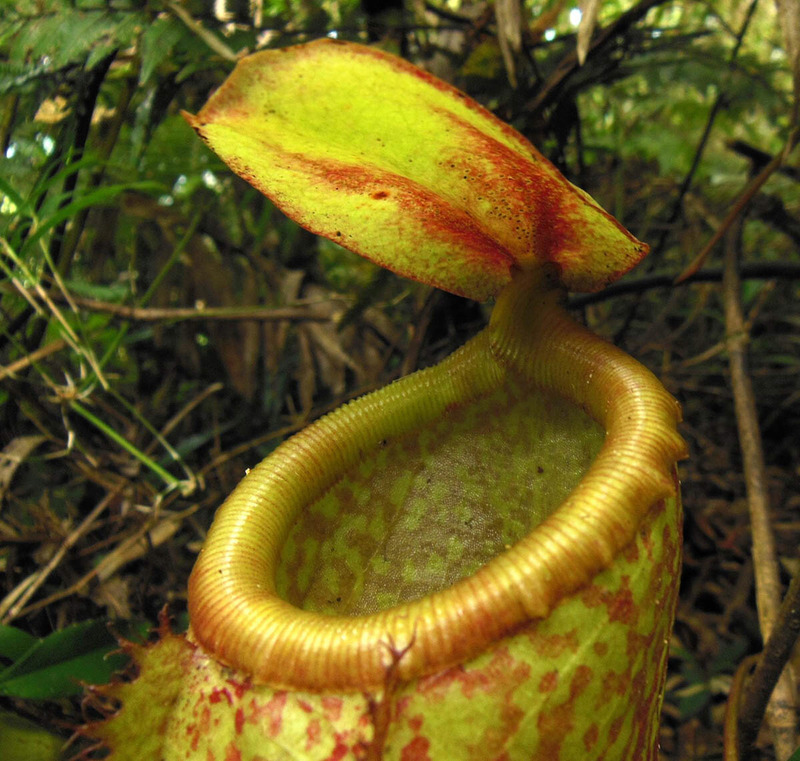 At the time of launch, the largest plants we have all seem to have red or deep-red pitchers. The species is notable for growing among dense vegetation in deep shade. Plant with be shipped with roots wrapped in sphagnum moss wrapped with paper towel, in a sealed bag or container before boxing up. If you have seen my Nepenthes you will know they are healthy and happy. Greenhouse grown, RH 85+, Days 88F, Nights 65F+. Shipping from Canada.Plant size is size small.